All requests for accommodations (GRE, PRAXIS I & II, TOEFL--please contact ETS at 800-257-5123) must be approved prior to and in accordance with ETS policies and procedures. Complete documentation should be submitted with a letter of support from a medical doctor or other qualified professional stating the nature of the disability and accommodations requested. Obtain a copy of the bulletin of information for each test. For MAT or CLEP contact the University Testing Services at 910-962-7444. 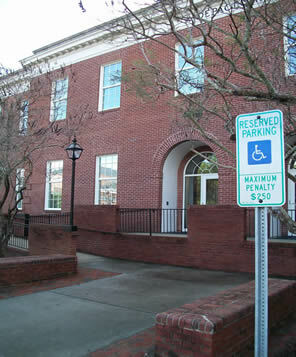 UNCW students should contact the Disability Resource Center on campus 962-7245. Select UNCW online courses are supported, but students in online course may still have to come to the University Learning Center for tutoring and/or attend the appropriate SI session. Students can receive an Online Consultation for any writing assignment. On a limited basis, the ULC provides tutoring for currently enrolled UNCW students for standardized exam preparation. Students who want help preparing for a standardized test must bring test-preparation materials with them to the tutoring session. The foreign language placement test is available online through the UNCW Foreign Language Department. To view details about how the on-line foreign language placement test is administered see Foreign Language Placement Test. See University College for more information.